Recently, I interviewed Mark Lanier, one of America’s leading trial lawyers. 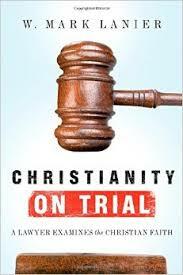 He has written a wonderful book entitled Christianity on Trial: A Lawyer Examines the Christian Faith (InterVarsity, 2014). I interviewed him on a radio show I co-host called “A Show of Faith” on 1070 KNTH The Answer. Thanks to the Salem Communications Network for the digital file. We made an edited version of this interview on a podcast hosted by Houston Baptist University. By David B. Capes in Uncategorized on August 28, 2014 .